Do you have a little brother? Well if you do you will be relieved that your brother isn’t like a boy named Fudge. 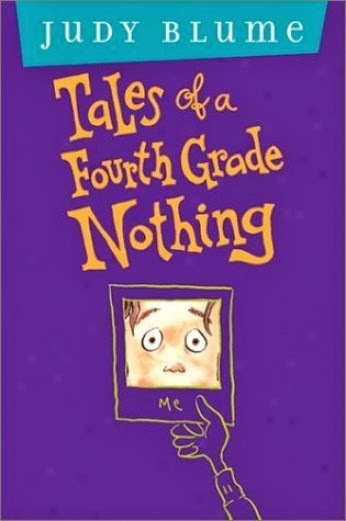 Tales of a Fourth Grade Nothing is about a kid in the fourth grade with a little four-year-old brother named Fudge who always gets in to trouble. Fudge is always trying to do what Peter does. Peter doesn’t like it when Fudge tries to copy him. His mom and dad end up hollering at him because he’s always being bad. Fudge splatters potatoes on the wall of a restaurant. He eats flowers from his mom’s vase and eats on the floor like a dog. Fudge jumped off the jungle gym because he thought he was a bird and swallows his two front teeth. Peter wins a turtle named Dribble at Jimmy Fargo’s birthday and no matter how many times he tells his little brother Fudge not to touch the turtle Fudge still touches his turtle. Eventually Fudge swallows Dribble and Dribble turns out dead. I think the funniest part of the book is when Fudge finds the shoe box full of supplies for a poster that Peter and his friends were making for school. Fudge took some of the magic markers and scribbled all over the poster. The next day Peter had to tell his friends that they had to make the poster all over again. I also like it when Peter, Fudge, and their father go to the movies. They went to the movie called “A Bear’s Life” Fudge thought the bears were real so he went up to the front and tried to pet them. I recommend this book to kids who like to laugh a lot, because it is a very funny book. Some younger kids might want their brother or sister to read it to them because it is so funny.